Students in Years 4 & 5 participate in Choir as part of their learning curriculum. It is an option for Upper Primary students to also participate. We are fortunate to have the services of a local community member & parent, Peta Davis, to nurture our choir students, learning the Festival of Music repertoire during the year; culminating in the Murray Mallee Regional Choir Performance at the Murray Bridge Town Hall in Term 4. All Reception to Year 5 students participate in swimming lessons at the Murray Bridge Olympic Pool early in Term 1 each year, with tuition provided by qualified swim instructors. 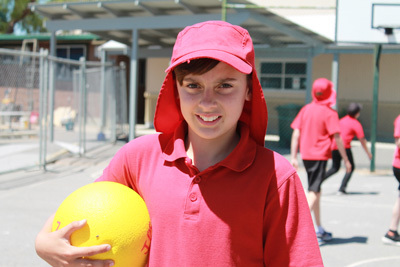 Year 6/7 students participate in Aquatics lessons at the Murray Bridge Aquatic Centre every second year, featuring a variety of skills including knee boarding, water-skiing, sailing and kayaking. Numerous opportunities are available during the year for students to participate in a variety of sports across the SAPSASA portfolio. Opportunities exist for successful athletes to compete at State Championships in some of these sports.